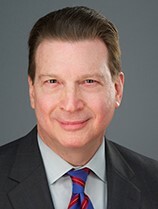 Alan Kolod is Chairman of Moses & Singer’s Management Committee, chair of the firm’s Corporate Trust practice group, and a partner in the Business Reorganization, Bankruptcy and Creditors’ Rights and the Banking and Finance groups. Alan has over forty years’ experience resolving complex disputes for his clients in the banking and investment advisory industries. He advises banks, indenture trustees and investment advisors on business, litigation and risk management issues. Alan has also served as an independent director on the Boards of Telemundo Group, Inc. and Daticon Inc., and, as such, was active in the successful sale of each company. He is rated AV® Preeminent™ in his field by Martindale and has repeatedly been listed in Law & Politics’ New York Super Lawyers®.